Bruce Lee describes the mind as the moon and all the thoughts and awareness that move through it as the stream. The goal is to cultivate a mind that is both still, but also able to move and take in everything at the same time. 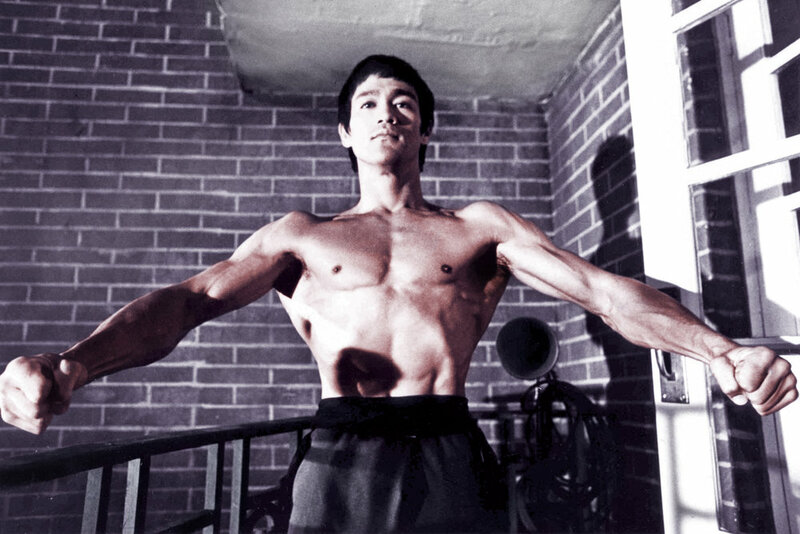 Bruce Lee thought that the mind was endowed with infinite mobility. Bruce had a story about the many-armed Kwan Yin. All of her arms are holding and doing different things, and if she stops to think about what one arm is doing then all of her arms stop. This is because she is no longer in flow as she has drawn back to question if she can operate all of these things at once. This is the idea of the moon and the stream, as applied to our mind. We can take in all manner of input and still have a point of view. The mind is easily distracted because it loved to analyze. Bruce believed that the native structure of the mind is fluidity. We are born with minds that sense and take it all in. It is through our experiences and input that we can start to shut down and fixate on certain experiences getting stuck in a mental loop. When the mind is too bound up, we become paralyzed. Fear is a distraction that can block up our mind and paralyze us. We replay experiences repeatedly and get trapped in this loop. We have to let go of these replays, no matter how difficult it is. When we have fluidity of mind, the mind is infinitely mobile and creative. Sometimes we get caught up in the fear that pain in life will last forever and crush us, but life does not stay fixed, it flows forward. Life moves all the time, the bad things move and the good things move. You must make the bad decisions so you can get the experience to make good decisions. If you have a fluid mind, it is easier to traverse rough terrain. Much of the pain we feel is due to resistance and bracing for the worst. All of the difficult experiences in your life are to help you practice the Moon and the Stream. Peacefulness is does not mean that nothing bad never happens, but instead peacefulness is letting bad things flow through you instead of creating blockage or a whirlpool of emotion inside you. Do not beat yourself up if you have a hard time being fluid in a situation; know that there will be another time where you can put fluidity into practice. It takes dedicated practice to have a fluid mind. Notice when you have difficulty having fluidity of mind. Notice when you have an insight and put it into practice. What are your experiences of the Moon and the Stream? We’d love to hear from you! Please write to us at hello@brucelee.com or tag us @brucelee on social media with #bruceleepodcast.